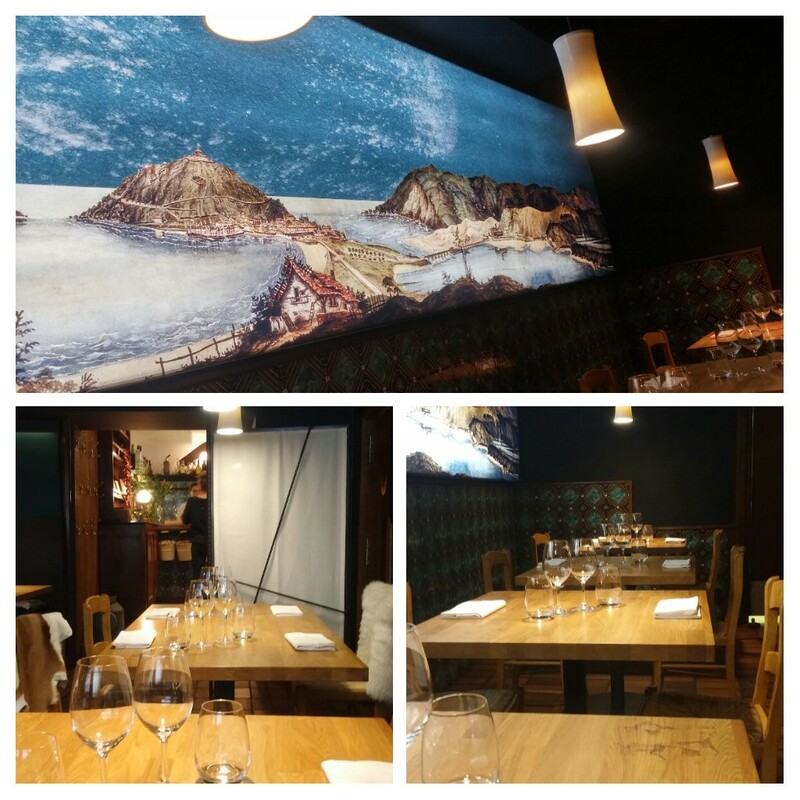 Sit down supper in San Sebastian – Bodegon Alejandro. Donostia San Sebastian is one of my favourite places in the world. The pintxos culture, where you bar hop from one delicious morsel to another (with very decent and cheap booze) in bar after bar on what can lead you into epic bar crawls, is just totally my thing (in my ever older age I can’t just drink as much as I could and generally need food with my booze). 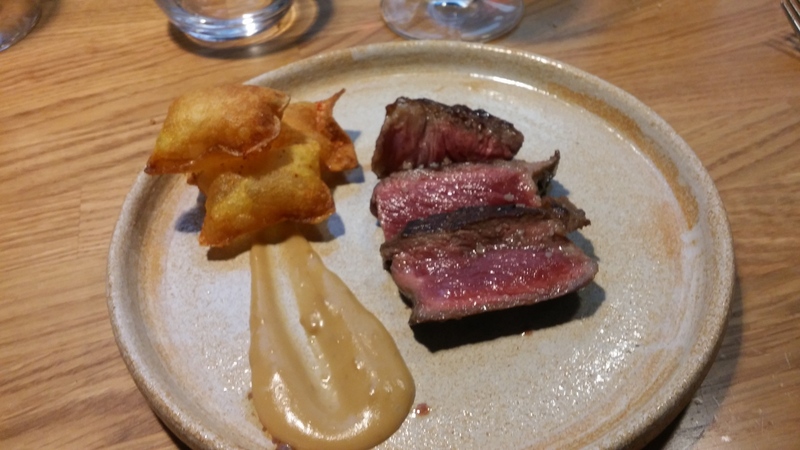 During any trip to Donostia San Sebastian, Mrs SF and I always like to have at least one proper sit down meal and have very much enjoyed meals at the Michelin starred Kokotxa, the “has a wine list to die for” Rekondo and always good Muralla. 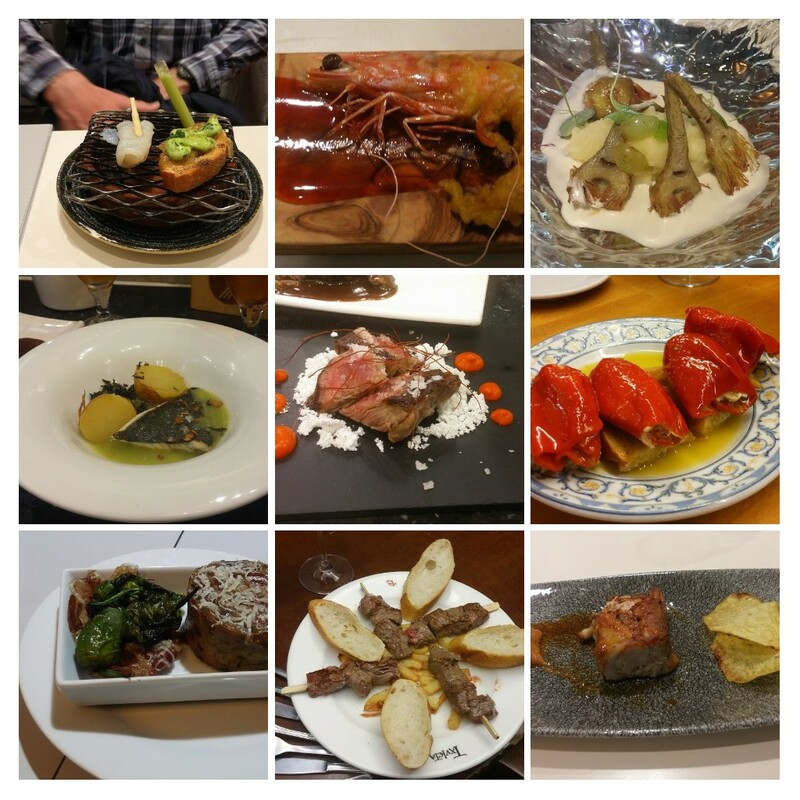 Whilst on this trip with my sister and her husband (part of a seemingly endless celebration of a milestone birthday for my sister) we could have been tempted by the 3 star Michelin palaces like Martin Berasatequi’s place (greedily he now has 6 Michelin stars – having 3 for his place here in Donostia and 3 for his Barcelona restaurant), the €200 plus per head (ex vat, booze and tip) price tag that comes with what I am sure would be an epic meal always puts me off. 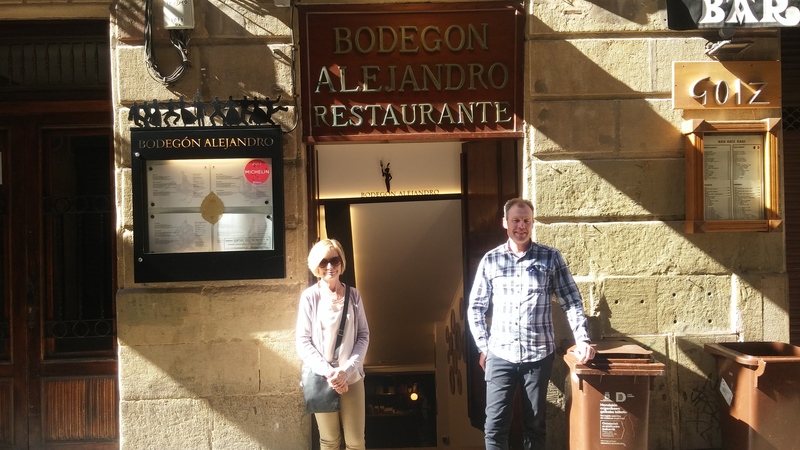 On this basis, we decided on what I regarded as pretty much the next best thing in the form of the restaurant, Bodegon Alejandro, which was owned by Martin Berasatequi’s parents, where he initially learned his trade and which he took over before ascending to the (Michelin) stars. Situated in the old town it had the advantage of being less than 150 metres from our rather luxurious, Boulevard Terrace, apartment (boy did we strike gold with that place). Classy without being in the least bit ostentatious. Very much my kind of place. Pretty relaxed (like most restaurants, even the poshest, in Spain) without the need to dress up. both seriously tempted. 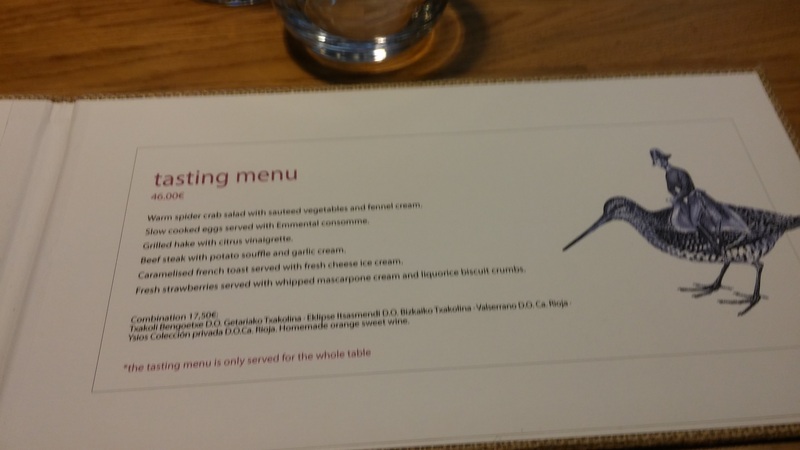 We, however, decided collectively to go for what looked like a very reasonably priced 6 course tasting menu (the whole table had to have it) at €46. 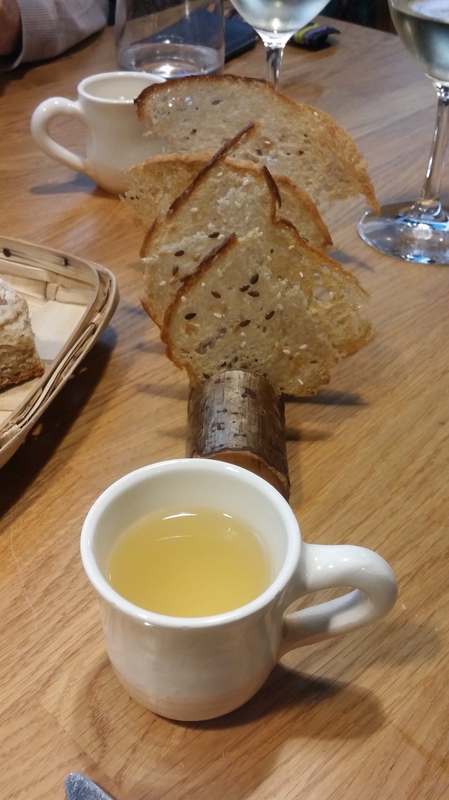 First up was an amuse bouche in the form of a lovely smelling, but somewhat alarmingly coloured (drop that sample off at the doctor’s please) jamon consommé​. Crystal clear, this captured brilliantly the intense smell and flavour of a quality jamon iberico. Absolutely top draw and complimented nicely by some wafer thin slices of toasted bread (pity the poor commie chef whose job it is to make them). 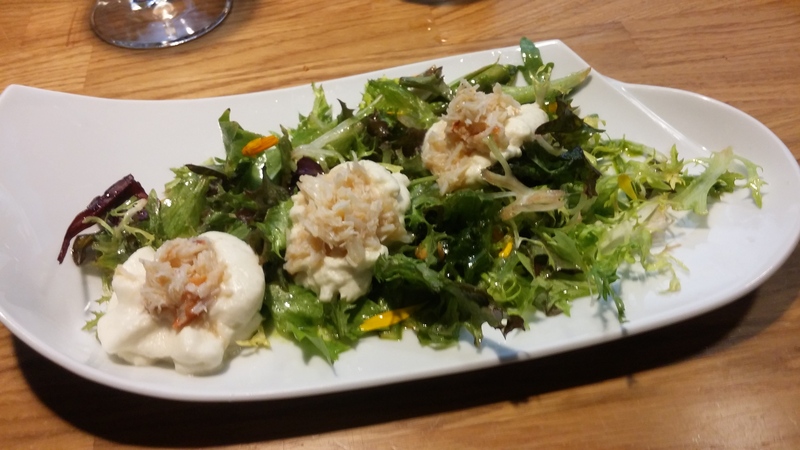 The first of the advertised course was a lovely spider crab salad. I have said on the blog in the past that I generally prefer crab to lobster (flavour wise it packs more of a punch) and dishes like this reinforce that view. Beautiful crab meat (fresh as a daisy and flavour wise duffing up any lobster nay bother) sat on an etherally light fennel mousse. I love fennel, but it is a flavour that can dominate. Here it was evident, but only as the lightest of touches, complimenting rather than bullying the crab. This all sat on a welcome bit of greenery (when on pintxos crawls you can have an alarming lack of veg in San Sebastian), with some beautifully dress salad leaves, marigold petals, asparagus, mooli (I think) and intense oven roasted tomatoes. The olive oil used was a luscious​ green and had an intense grassiness and citrus zing to it. all bathing in a killer emmental broth. The latter sounded strange, but was both subtle and powerful in flavour. 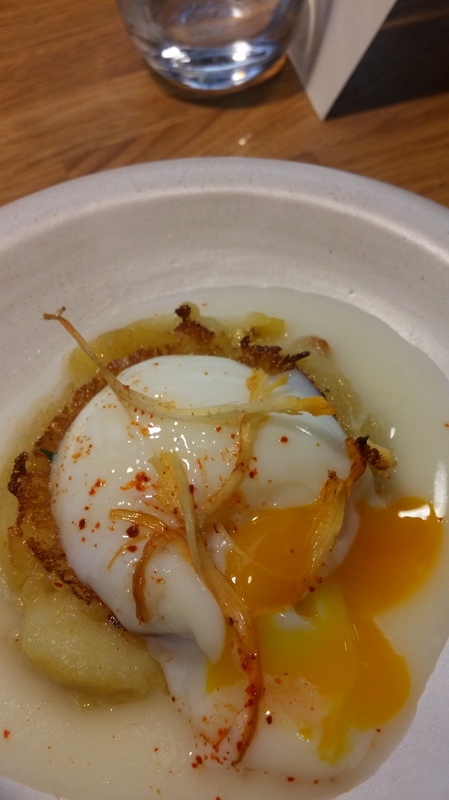 Breaking the egg made for a delightful mix with the potato and the broth. 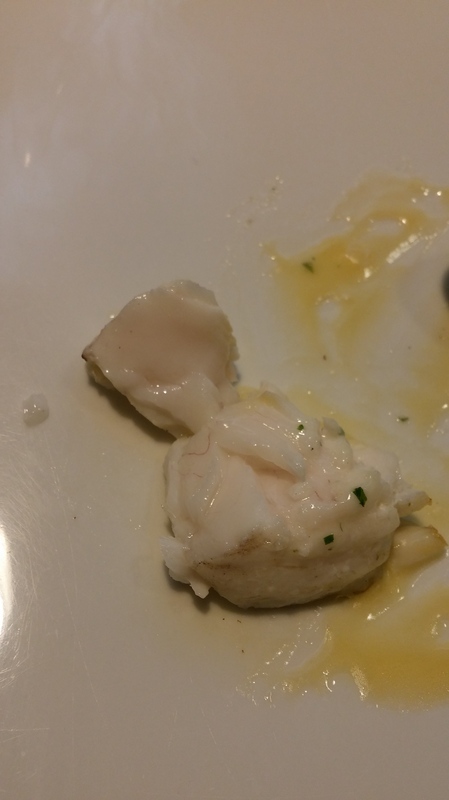 This was my sister’s favourite dish of the meal. 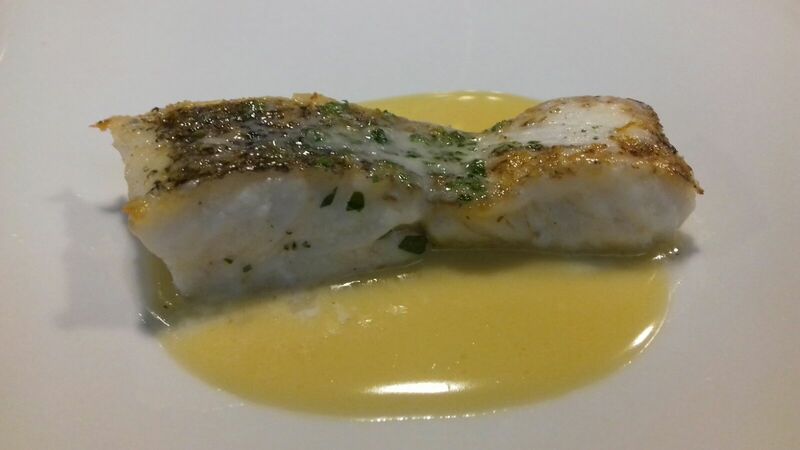 The skin was crispy and the flesh just the right side of translucent, with the sauce providing an intense citrus hit (without being too sharp). An absolutely superb dish and probably the dish of the meal for myself, Mrs. SF and my brother in law. 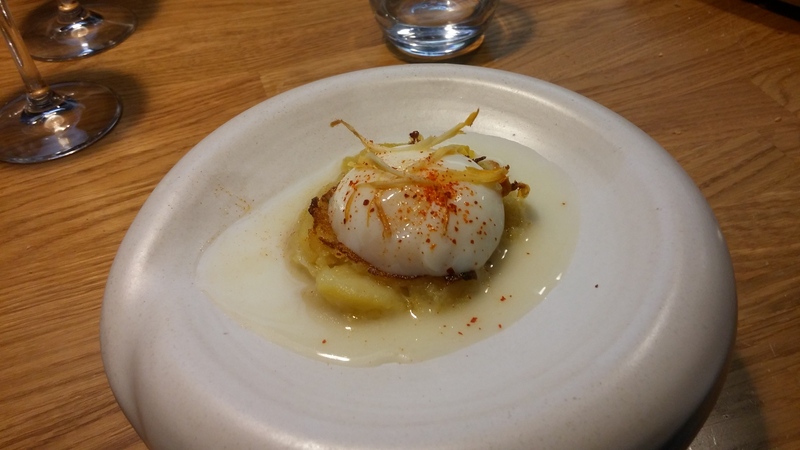 The final savoury course was that staple of Pais Vasco, the txuleton. Usually a monster portion (not to be tackled solo) here it was cut to a manageable size for each of us. No cooking request was given or asked, but what came out was absolute à point for me. Super tender with a rich beefy flavour (with a nice umami hit) that only proper dry aged old beef provides. This was a fabulous bit of meat – only thing missing was some crispy yellow fat. The accompanying sauce was a heady roasted garlic number that was not for the faint hearted (or those on a date night). The pomme soufflé (potato pillows) were a trumph in terms of cooking skills, but to me were a tad style over substance. Beautifully crisp and oil free, the hollow insides of this very technically challenging potato dish are always a slight let down I think. 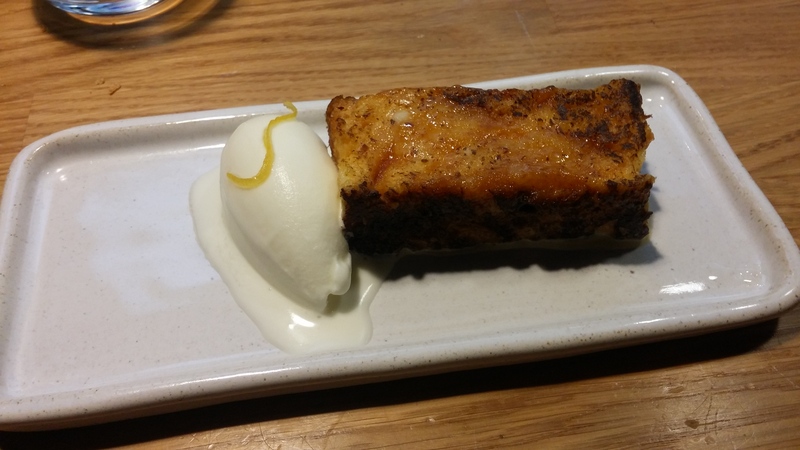 The first pudding married a light as a feather bit of French toast, intriguingly, with a cheese ice cream. The cheese ice cream was reminiscent of a mini milk ice lolly and worked rather well with the very good french toast. A fine dessert. Finally we had a strawberries and cream number. 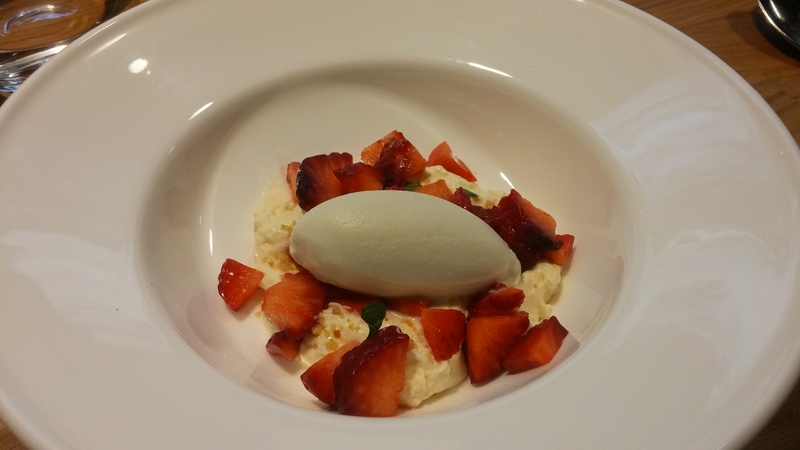 Good properly flavoured (rather than tasteless rubbish) strawberries, a pleasant mascarpone cream, studded with a subtle liquorice flavoured crumb, made for a pleasant last proper course. 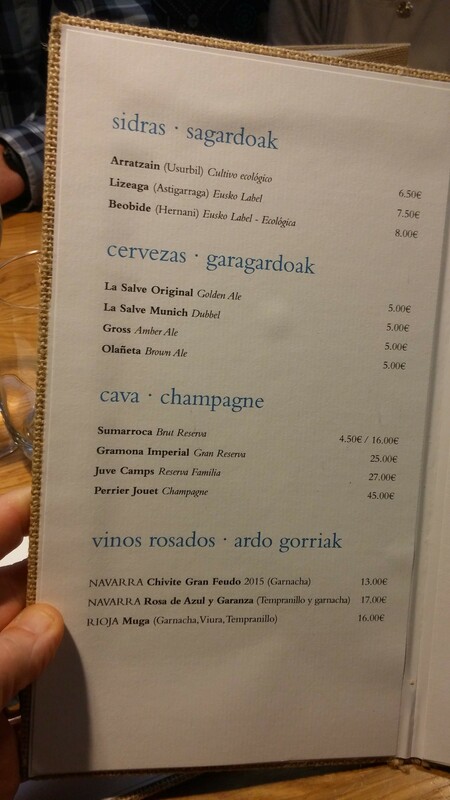 On the booze front, the menu did offer an option of wines by the glass with the tasting menu (at a very reasonable €17.50 per head). 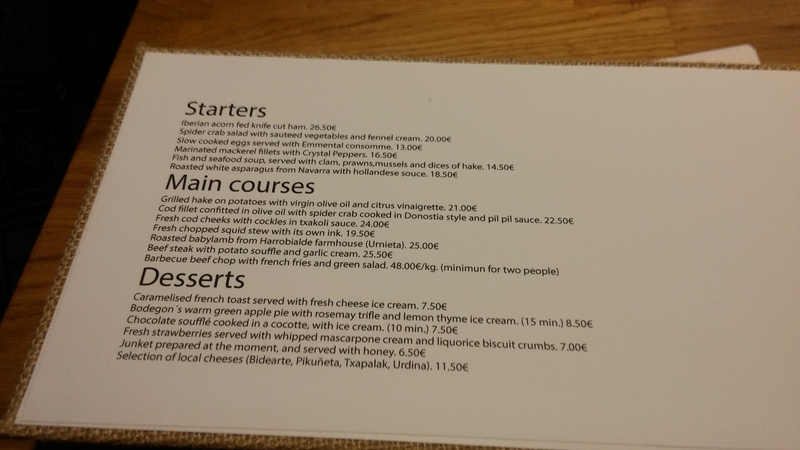 If there had just been the two of us I may well have gone for this option, but with four of us the €17.50 each would have added up to €70. 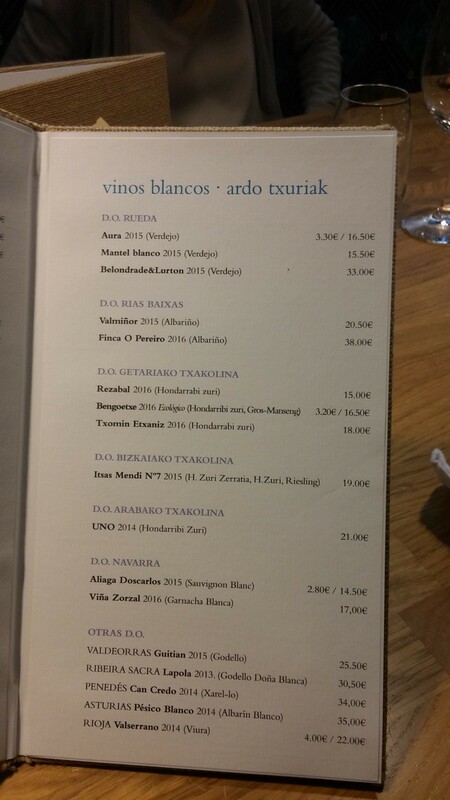 I considered this to be more than enough to play with (in terms of ordering a bottle of white and red) as Spanish restaurants tend to apply quite minimal mark ups over retail prices (unlike those in the UK). 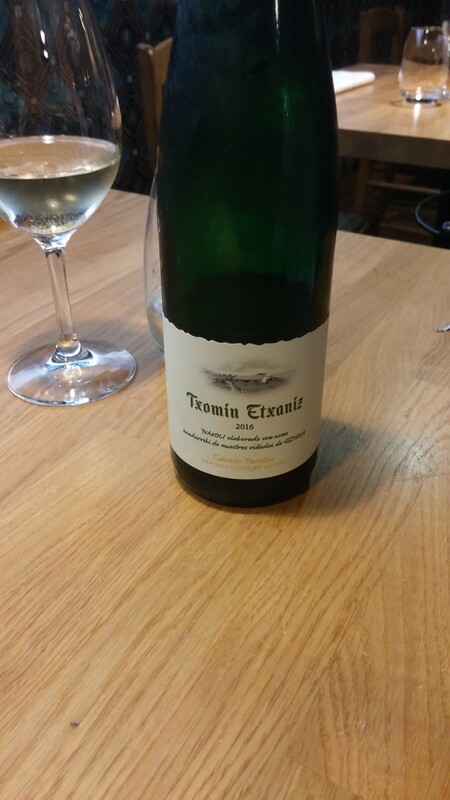 I decided to go with a “when in Rome approach” and ordered a Txomin Etxaniz Txakoli and Lanzaga 2010 Rioja (both wines from the Pais Vasco region of Spain). Lovely with the hake dish and a good all around crowd pleaser of a wine. 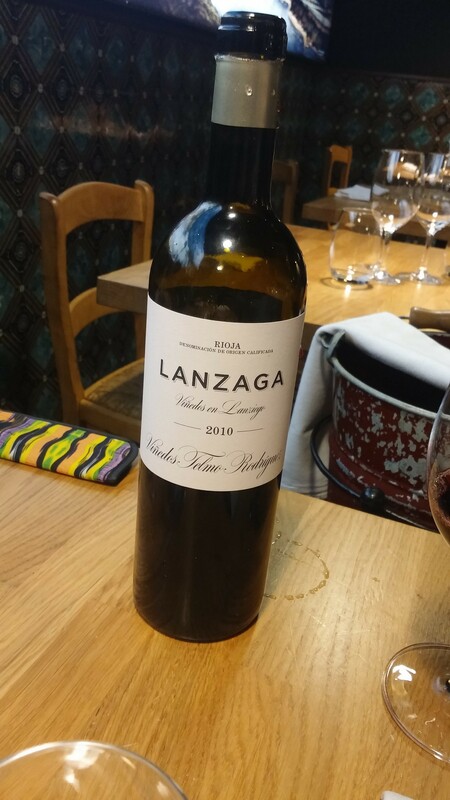 The Lanzaga Rioja (a Rioja Alavesa wine from near the Basque town of Labastida) was the obvious choice, as it was from the excellent 2010 vintage and was made by the class act that is Telmo Rodreguiz (his wines rarely disappoint). At €33 on the list (it retails in the UK at around the £22 mark and goes for £58+ on UK restaurant lists and a massive £70 – €83 – at the Social Eating House in London ) I thought it a bit of a bargain. Beautiful aromas of liquorice with plums and a touch of sage herbiness. On the palate there were some nicely rounded tannins, raspberry and hints of balsamic. Great wine with the steak. 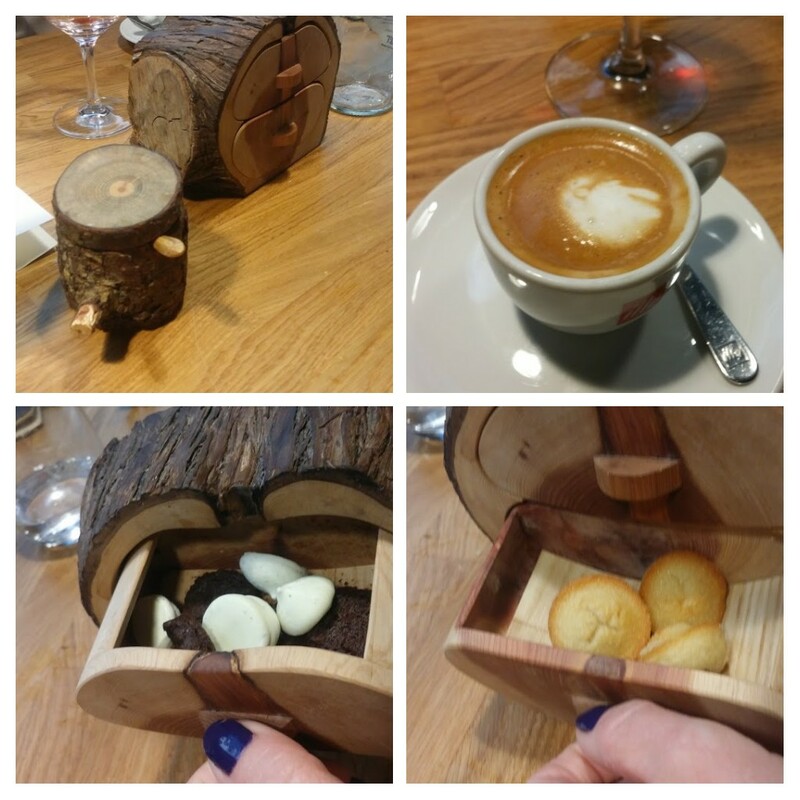 A wonderful meal was finished off with a good coffee and some rather fine petit fours. 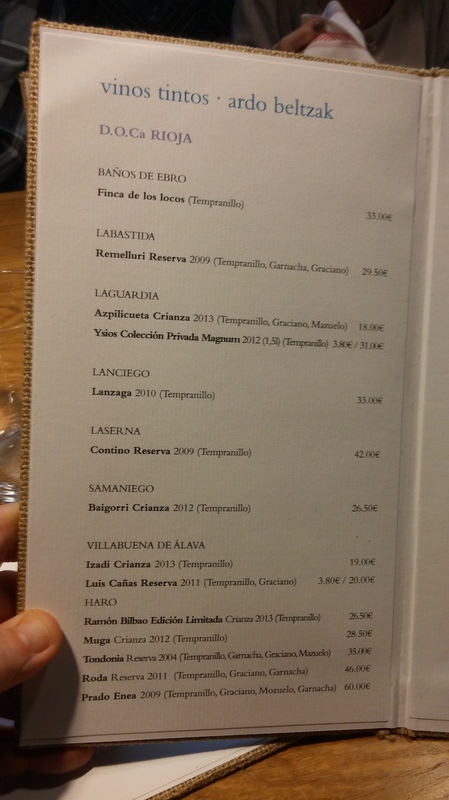 Fantastic food (without even the slightest hint of a duff course on the tasting menu) and superb wine is to be had at Bodegon Alejandro. 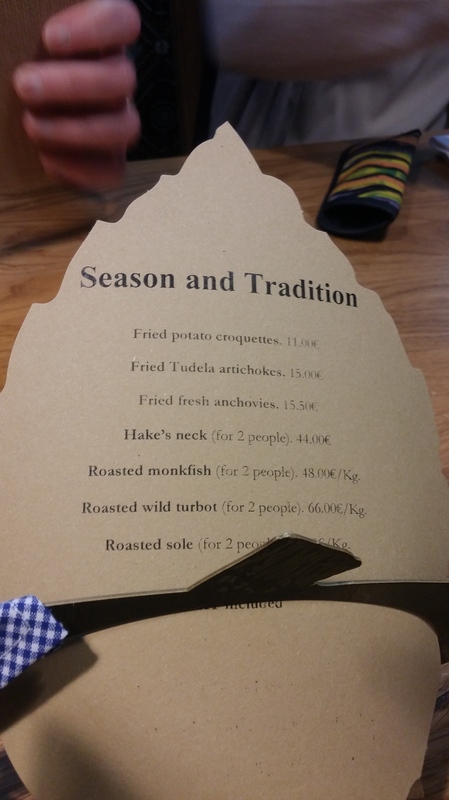 Top class place and an real alternative to the starred joints (at a much more palatable price). Would I go back? Yes absolutely. 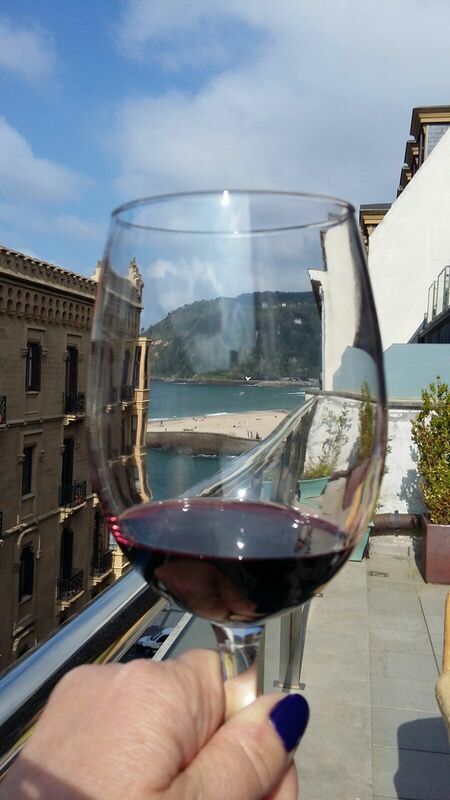 When I am next in Donostia San Sebastian this will be close to the top of our list to visit again. Reservations can be made online via their website. 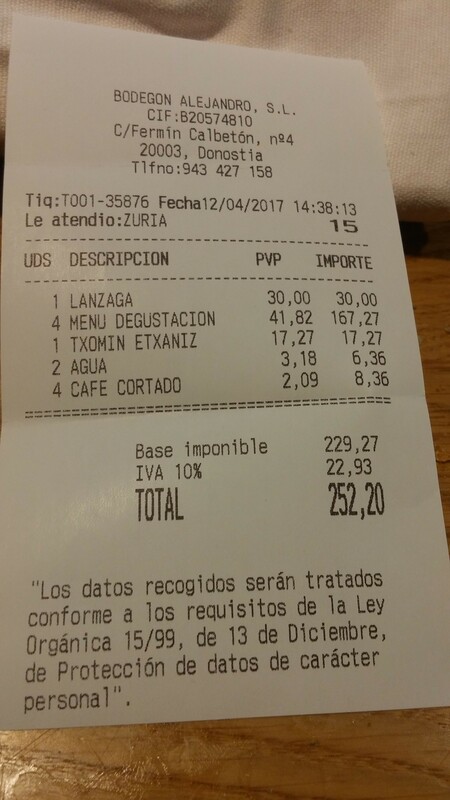 This entry was posted on Apr 16, 2017 by solicitingflavours in Alcoholic drink, Alternatives to sauvignon blanc, Asador 44, beef, Bodegon Alejandro, cheese, City break, coffee, craft beer, Donostia, Drink, Dry aged beef, Dry white wine, Fine dining, Fixed Price Menu, Food, Food and wine products, Galcian white wine, Godello, Ice cream, lamb, Lunch, lunchtime, Michelin star, outside UK, Pais Vasco, pintxos, Red Wine, Rekondo, restaurant review, review, Rioja, Rosé, salad, San Sebastian, Spain, Spanish wine, steak, Tasting menu, txakoli, White wine, Wine, wine mark up, wine pairing, wine pairings.